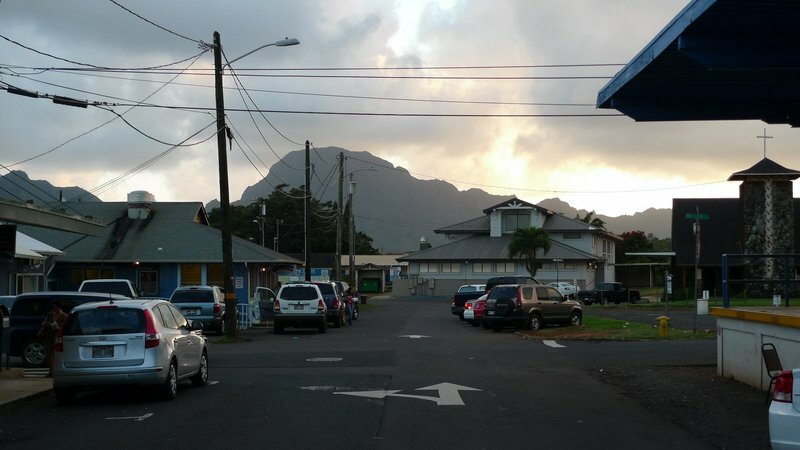 After our jaunt around the north coast of the island, we stopped for dinner in Lihue at a small hole-in-the-wall place that my parents stumbled upon their first night on the island when they stayed in a hotel nearby. The restaurant is called Barbecue Inn, an institution opened by Masaichi and Hanayo Sasaki in 1940. The storefront is located on Kress Street, a small alley named after what used to be a popular department store in town. 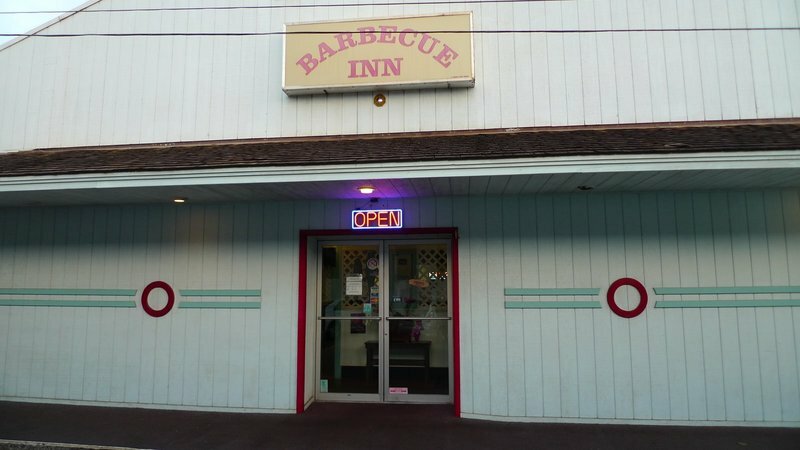 Specializing in affordable family cuisine, Barbecue Inn serves American and Japanese food and everything – everything, they emphasize – is made from scratch. 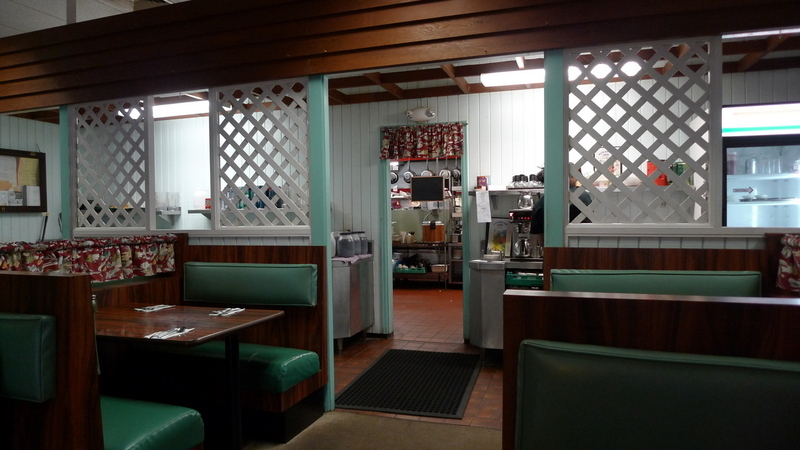 The interior is clean but definitely a bit of a time warp. Service is very friendly, though. 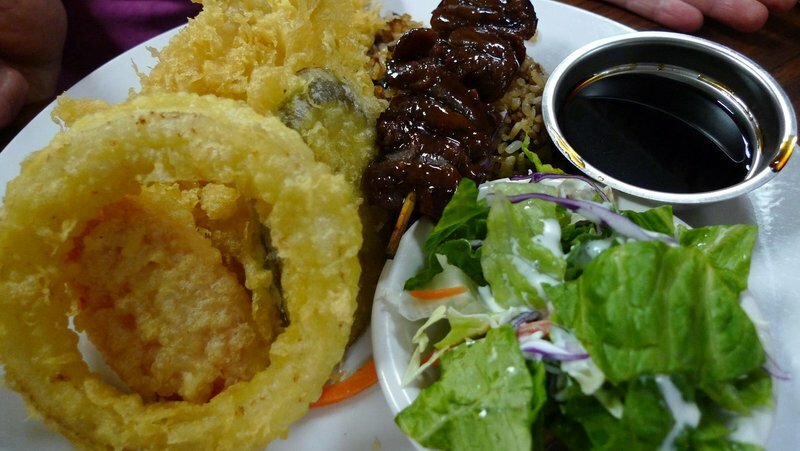 Teriyaki beef kabob with tempura. 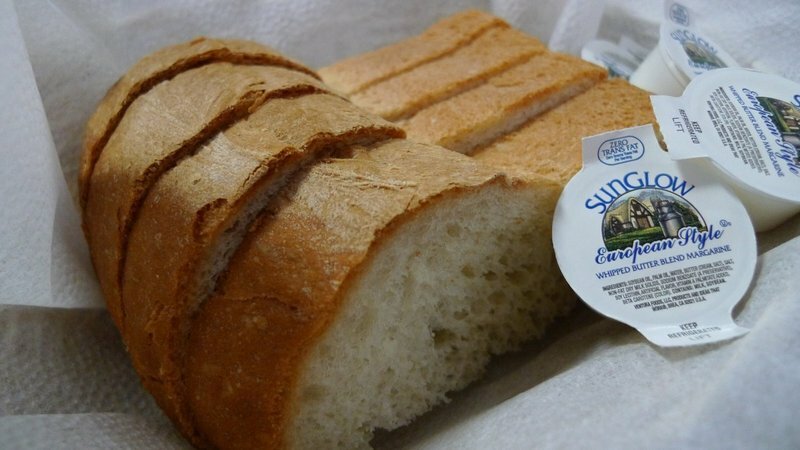 My mother had this and it was tasty, although the sauce was a bit heavy. 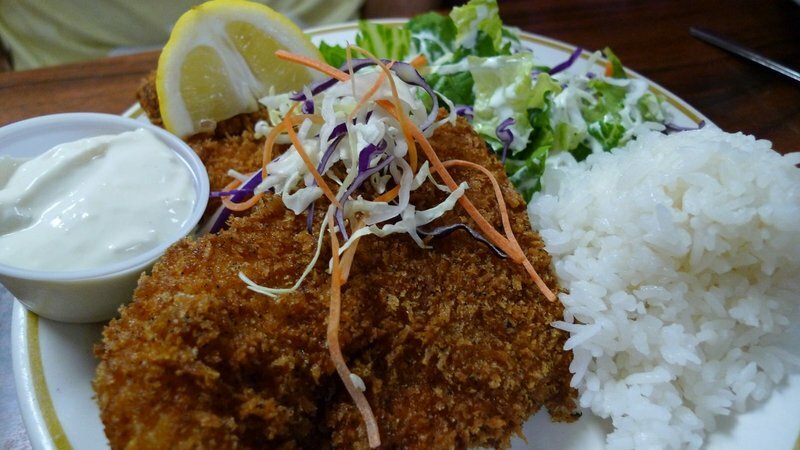 Panko crusted mahimahi served with tartar sauce. My father had this and while it was tasty, the breading obscured the fish inside. My dinner, kalua pork and cabbage. Kalua pork is traditionally cooked in an underground pit but these days refers generally to slow-cooked pork. Really tasty with a smoky smell. The only drawback was that there was a lot of the same (albeit tasty) flavor on the dish. 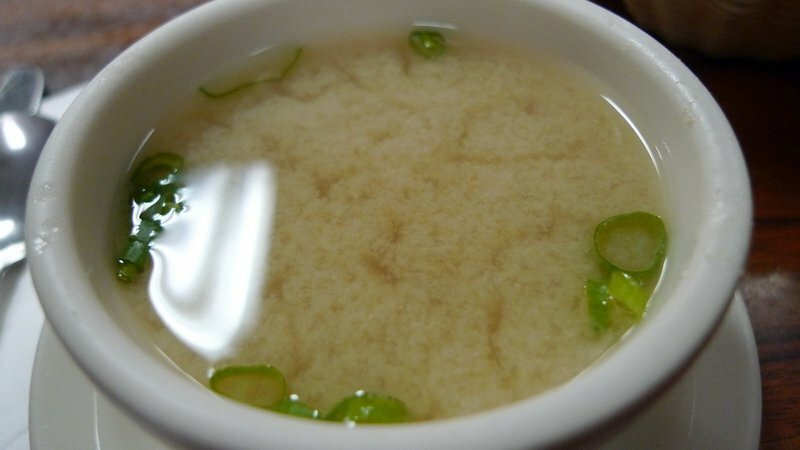 It would have benefitted from a smaller portion and something (maybe Japanese style pickles?) to contrast with the flavor. The stand-out of the menu was Tawn’s order, mahimahi encrusted in a combination of macadamia nuts, panko crumbs, and sesame seeds, topped with coconut cream and spinach sauce. This was amazing. The real treat, though, was the macadamia nut cream pie. I’ve made two attempts at making this pie and have encountered some problems. So you can imagine how excited I was to find it here, perfectly fluffy and flavorful. While they wouldn’t release the recipe, they did answer my question about what thickener they use: a combination of cornstarch and gelatine, which helps explain the chiffon-like texture. I have to admit, though, that now that I’ve finally encountered that long-lost taste memory again, I feel less need to try and recreate it. In short, the pie was very good but I realize that in my memory, I had built up how wonderful macadamia nut cream pie is, to a level that can never be achieved in real life. Maybe. After dinner we drove around the corner to see this small local motel my parents had stayed at their first night on the island. It is well-maintained but is definitely straight out of the 50s or 60s! 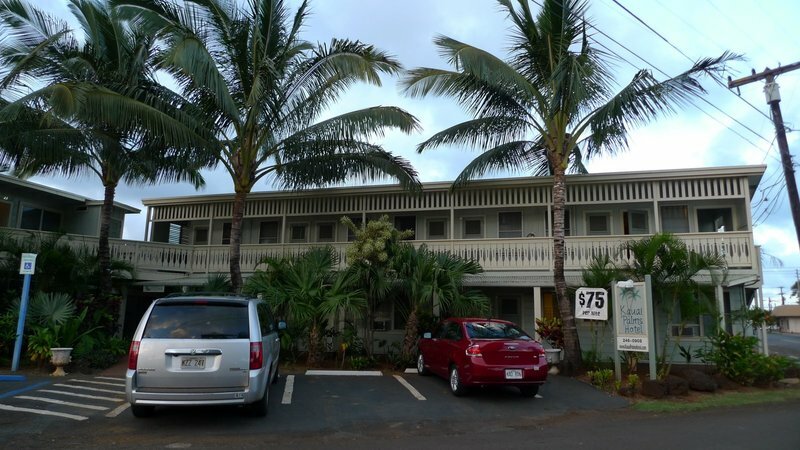 This entry was posted in Uncategorized and tagged barbecue, Dining, food, Hawaii, inn, kauaii, Restaurant by christao408. Bookmark the permalink. 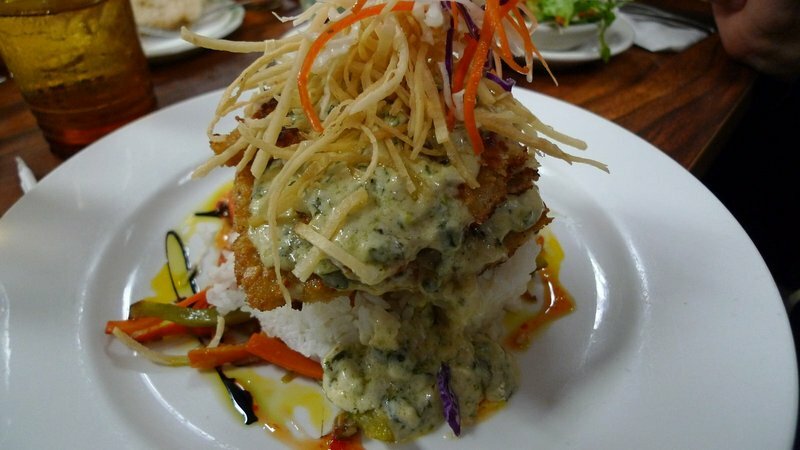 Panko crusted mahi mahi dish sounds interesting. I noticed most of the buildings look like they are built in the 1950’s to 1970’s! 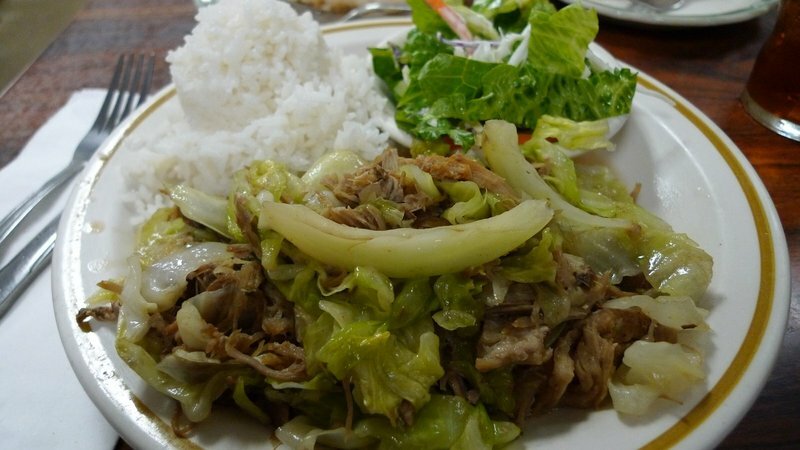 kalua pork and cabbage is awesome! i still have not tried the mac nut cream pie recipe… i’ll get around to it one of these days and let you know if i can get mine to set correctly. Love the mac pie and mahimahi! Also love the look of the old motel. 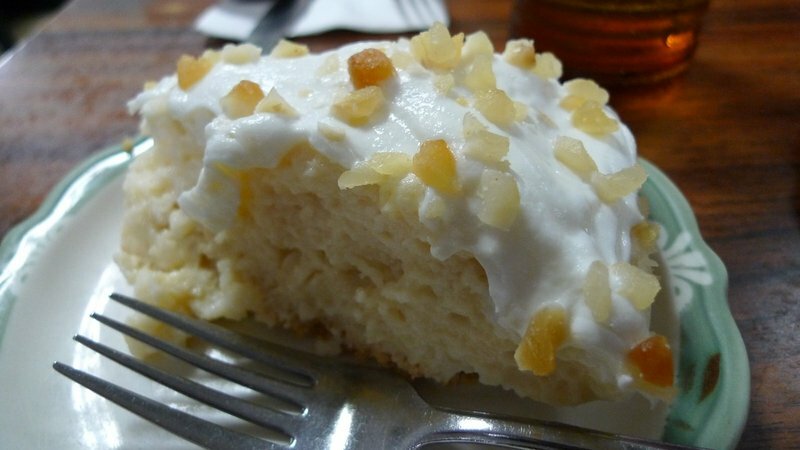 The macadamia nut cream pie looks so good. I am drooling. Tawn’s choice of meal also looked so appetizing. Glad you all had so much fun. @CurryPuffy – The buildings are all from that era, when the sugar plantations were running full bore and tourism was just starting to take off. The entire island has this feel (as does Waikiki Beach over on Oahu) of being in a time warp. @ZSA_MD – Tawn definitely made the best choice! @Swiftonik – @Fatcat723 – @Randy7777 – @yang1815 – Yes, there sure was some good food there, a meal I wouldn’t mind having again. @The_Eyes_Of_A_Painter – Thanks for coming along on the tour! @kunhuo42 – One of these days, Aaron, I want to cook with you. I need to schedule a trip to your neck of the woods or else you need to come to Bangkok. @christao408 – that sounds good! i will hopefully be graduating next year, so i don’t know where i’ll end up next… maybe somewhere that you frequently visit! You found your Holy Grail of food. I think you’ll soon find a way to enhance the original recipe. Maybe a Macadamia nut coconut cream pie?